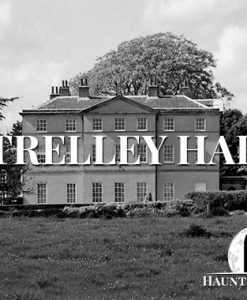 Derbyshire is an area which has no shortage of spooky stories. 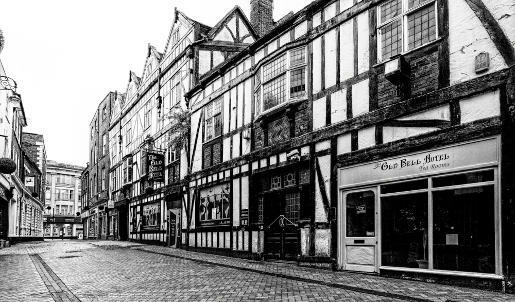 The city of Derby is particularly renowned for its ghosts, often staking its claim as one of the most haunted cities in the United Kingdom. 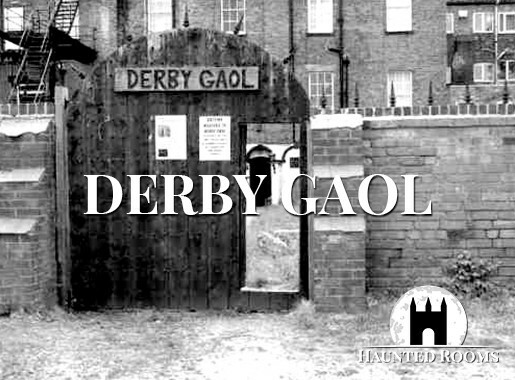 Any tour of haunted Derbyshire should probably begin with Derby Gaol! There have been 58 recorded executions within Derby Gaol and countless other deaths as a result of Gaol Fever, so it is little wonder that the building is haunted! Cell doors have been known to open and close by themselves and those entering the notorious ‘condemned cell’ report feeling extremely nauseous. In fact, the atmosphere is so oppressive in the cell that a large percentage of visitors simply refuse to enter! A handful of those who have braved it have come out claiming to feel like they are suffocating! The owner has also described seeing a grey haze walking in the kitchen area. The most terrifying tale to come out of Derby Gaol is probably the visitors who claim to have seen the apparitions of two men hanging from a beam in the condemned cell – perhaps explaining that suffocation feeling! Another one of the most haunted places in Derbyshire is The Old Bell Hotel. This stunning Tudor style building has a distinctly Gothic atmosphere. 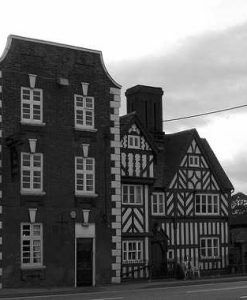 It was built in 1680 and remains one of Derby’s oldest coaching inns. There are several paranormal tales linked to the property including the spirit of a woman in a blue Victorian style dress who appears in one of the downstairs bars. There is also the ghost of a murdered serving girl who apparently only chooses to reveal herself to children. Staff have reported some poltergeist activity in The Old Bell Hotel as well in the form of coat hangers being thrown around! The Hotel was closed down in 2012 over a ‘difference of opinion’ between the owners, but reopened around a year later. We can’t help wondering if the paranormal activity had anything to do with it? 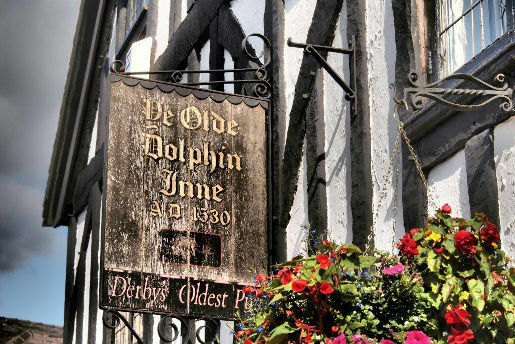 Derby’s Ye Olde Dolphin Inne is around about 500 years old and is said to be home to multiple spirits – and not just the kind served in the bar! This is one bar that is proud to be home to several Derbyshire ghosts, they even have a dedicated section about them on their website! Some of the most famous ghost stories relating to Ye Olde Dolphin Inne include The Flying Scotsman, The Blue Lady and a little girl who sits on the stairs. However, all of these pale in comparison to the story about ‘The Vault of Terror’. Legend has it that in the 18th century, a young doctor secretly had the corpse of a young woman brought to him at the inn one night. He took it into the cellar – which lies directly below what is now the lounge – and used her to practice dissection. He started by cutting open her stomach to remove her entrails. However, she turned out not to be dead – simply comatose and as he began to cut her eyes opened and she sat up screaming. She had been mistakenly declared dead! She ran from the room trying to hold her insides together, but before long she died from a combination of the blood loss and shock! The official cause of death was recorded as ‘death by rude awakening’. The doctor was also in shock and lived out the rest of his life in an asylum! Regulars claim that the girl’s screams are still heard at night coming from the cellar! 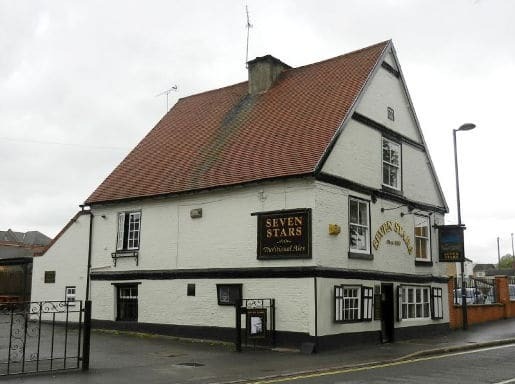 The Seven Stars is a very old Derbyshire pub which is affectionately know to locals as the seven seats because it is pretty much standing room only! The building is haunted by a resident ghost who has been christened ‘George’. He sometimes manifests as a blurry sort of figure in the attic, but he also sometimes makes his presence known in the form of disembodied whispering. He also has a bit of mischievous streak and likes to turn off the lights and the beer taps. If you happen to be in The Seven Stars and the beer taps go off you will likely here the staff giving an exasperated sigh of ‘Oh, George!!’. There has been quite a bit of speculation about who George might actually be and why he is haunting the pub. In the sixties, renovation work uncovered a well which is now visible through a glass panel in the bat. Some believe that George may have fallen to his death down the well! One of the most famous spots in haunted Derbyshire is Eyam Village aka ‘the plague village’! In September of 1665, the village tailor took delivery of some materials from his London based supplier. However, the parcel was rife with fleas carrying the plague. Within a week, the tailor was dead and by the end of the month 5 more people had succumbed to the plague. During the following month a further 20 lives were lost. The remaining villagers were terrified for their lives and want to leave for a nearby city. However, they were forbidden from doing so for fear of spreading the disease even further. The village was quarantined and was supplied with food and other essentials which were left at the village boundaries. The money for them was left in troughs of vinegar to sterilise them. The plague tore through the villagers for around 8 months and the final death toll was around 273. Just 83 of the population survived the epidemic. Today, Eyam Village is a thriving community, but it is still best known for its tragic brush with the plague. 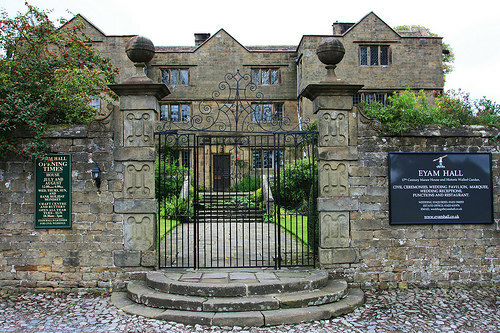 Many of the houses have been kept in the style of the 1600s and The Eyam Hall which was built in 1676 is still standing. Needless to say, the village is also rife with ghost stories and there are daily ghost tours in the village. The plagued cottages are one of the stops and are apparently haunted by various spirits including a lady in a blue smock who wakes people up during the night! Eyam Hall is also said to be haunted by the ghost of Sarah Mills, a servant who drowned in the well and by an old man who is seen in an upstairs room that is now kept permanently locked. The most haunted building in the village is said to be The Miner’s Arms. 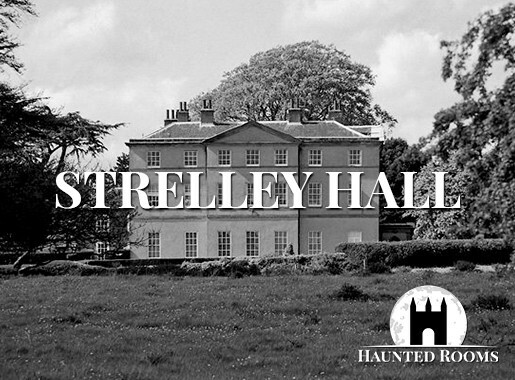 Guests frequently hear footsteps and there are all manner of strange occurrences in the bedrooms – to the extent that a large number of guests end up leaving in the middle of the night! 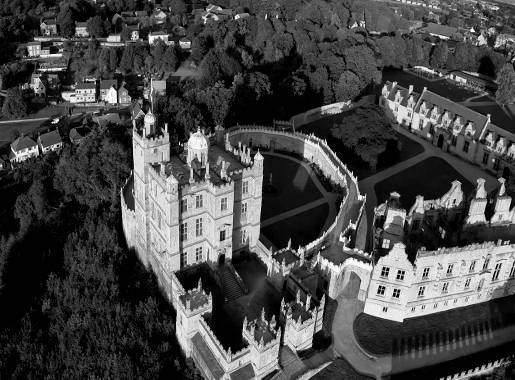 Anyone who has ever visited Bolsover Castle is likely to agree that it is one of the most haunted places in Derbyshire. 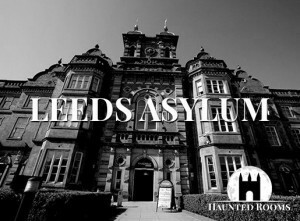 Visitors have reported seeing various apparitions, even in the daylight hours and staff are frequently having their ankles touched or doors slammed in their faces! Some of the most frequent reports involve the spirit of a small boy who tries to take the hands of female visitors walking in the castle’s gardens and unexplained balls of white light flitting around inside the castle. Disembodied voices and phantom footsteps on the staircases are near enough daily experiences. There is also a Grey Lady who haunts Bolsover Castle. She is often seen walking in the castle grounds. There are also plenty of people who have heard a woman screaming and crying in the parapets. The ghosts of Bolsover Castle are in plentiful supply and seem more than willing to show themselves in one way or another on a more or less daily basis! 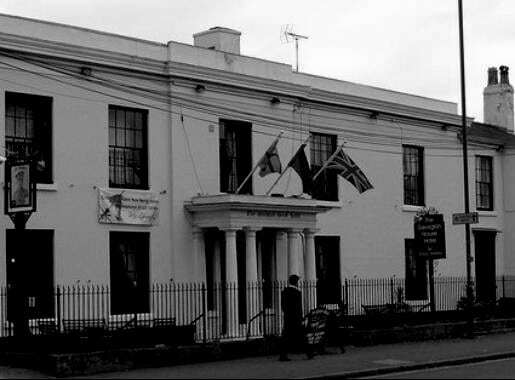 When you look at a place like the Georgian House Hotel, it is very easy to see why Derby is considered to be one of the most haunted cities in the whole of the United Kingdom! It is often used as a starting point for ghost tours and walks in the city. The most well known spook that has been seen here is a man in a pin striped suit! There seems to be very little information about the ghostly figure apart from the fact that he was a guest in the hotel at some point. He is usually the one who takes the blame when doors are slammed unexpectedly or when items fly off of shelves and bookcases! He is also known to pick items up and move them around! The focus of paranormal activity seems to be within rooms 10 and 12 although the reception area is also said to be quite active as well.